Various tips and best interior design best practices for making your house or apartment look its best. In this video, Erica Lugbill, owner of Lugbill Designs–an upscale residential remodeling and interior design firm in Chicago–discussed the dos and don’ts of painting a tray ceiling. Tray ceilings come in all shapes and sizes and are oriented at different angles. So there’s no tried and true rule in painting a tray ceiling. For Erica, she always paints the top surface of the tray ceiling and depending on the angle. “If the tray is angled up, then I paint the angle portion also, then I leave the flat ceiling white,” says Erica. Do you find these tips helpful? Follow our blog for more home design tips and tricks. Flooring plays an important role when designing your home. Not only will it add value to your property, but it will make your home more appealing as well. There are a lot of flooring types available in the market. But while it is widely available doesn’t mean you will just settle for the cheapest. Choosing the right flooring material could be one of the most daunting decisions you have to make when decorating your house. Knowing your options will play to your advantage, because not only it will satisfy your style but could also prolong the lifespan of your flooring. This guide explains 10 of the most common types of home flooring materials with their benefits, drawbacks, and vulnerabilities. Do you have anything to add to this list? Let us know in the comments section below. Walk-in closets serve your need for an efficient storage system, but what if you can only work with a small space for all your things? If you love clothes, shoes, and accessories, it would be easy to find yourself surrounded by clutter. Without a streamlined closet, organizing gets extra difficult–and it just gets tougher with limited space. To get out of this headache-inducing scenario, follow these tips for maximizing your walk-in closet. Closet clear outs can be done once a year or every six months. Not only will this practice save you space, but it will also keep your wardrobe updated. 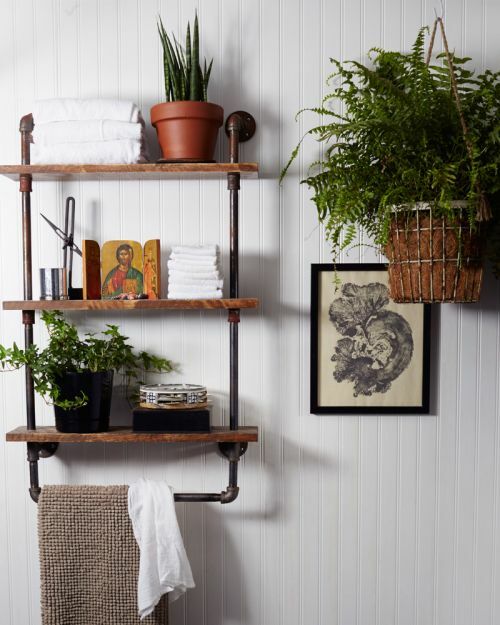 A basket is a go-to item to declutter and free up space in your walk-in closet. Baskets or storage boxes work best for storage systems that lack drawers. Here you can roll up your clothes, socks, and underwear–in which case it also makes a good storage system to keep hard to find items at arms reach. Lastly, to free up floor space, use stackable baskets as your primary choice. At the beginning, you would see your drawers tidy and organized, but before the week ends, it always ends up in a chaotic jumble. To do away with this problem, you can use your shoe boxes as dividers so you can easily find your socks, ties, undies, and whatnot. Hangers are notorious for eating up much valuable vertical space that is precious for those with a small closet. 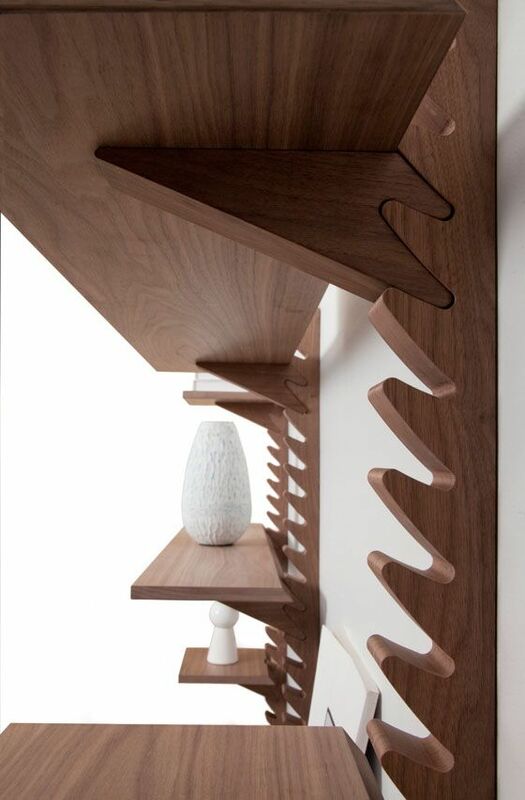 Shelves are more flexible than closet rod as they can be used for your accessories and shoes, along with folded clothes. 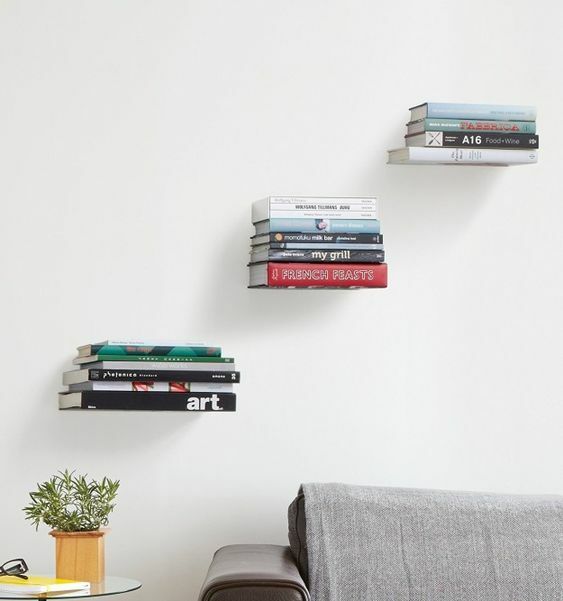 To really save up space, go for a shelving solution that stands from floor to ceiling. Lastly, if you can’t let go of a hanger, keep it short and reserve only for overcoats. 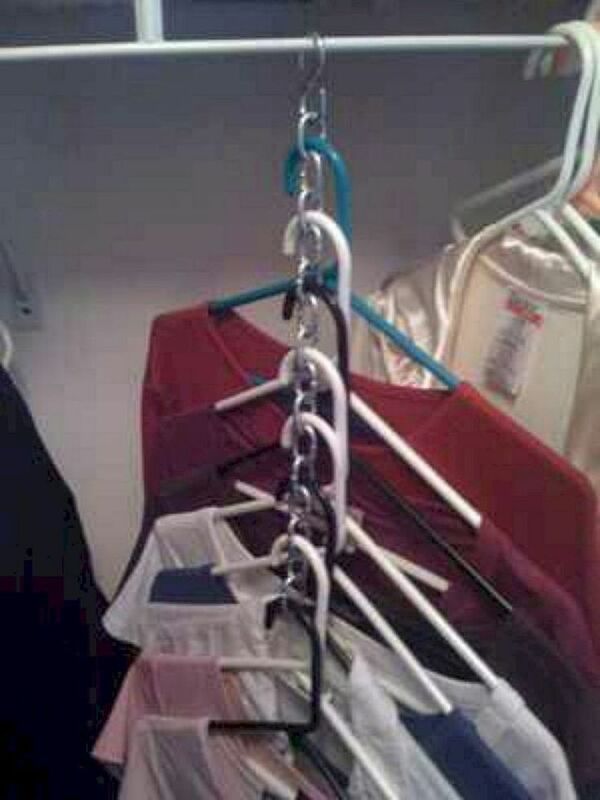 You can free up space if you group your short hanging clothes together. The space made available below these short hanging items can be used for storage boxes, additional drawer, or for a shoe rack. 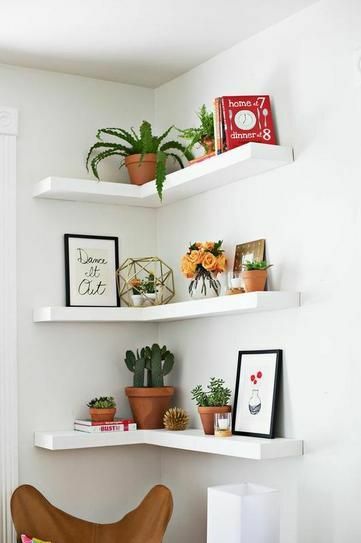 So next time you organize your hanging items, group them by length and use the space beneath the short ones for storage. The most unused space in a walk-in closet are the corners. 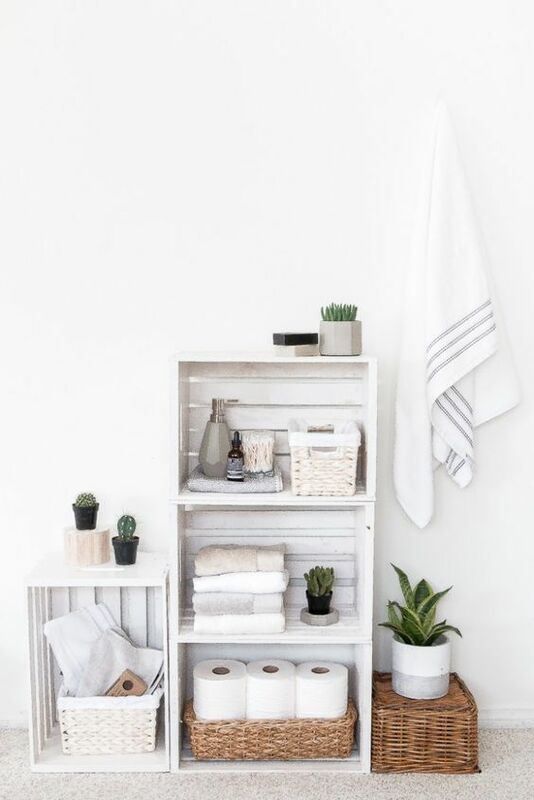 While many consider it a dead space, it doesn’t have to be especially when you need every inch of your space for storage. 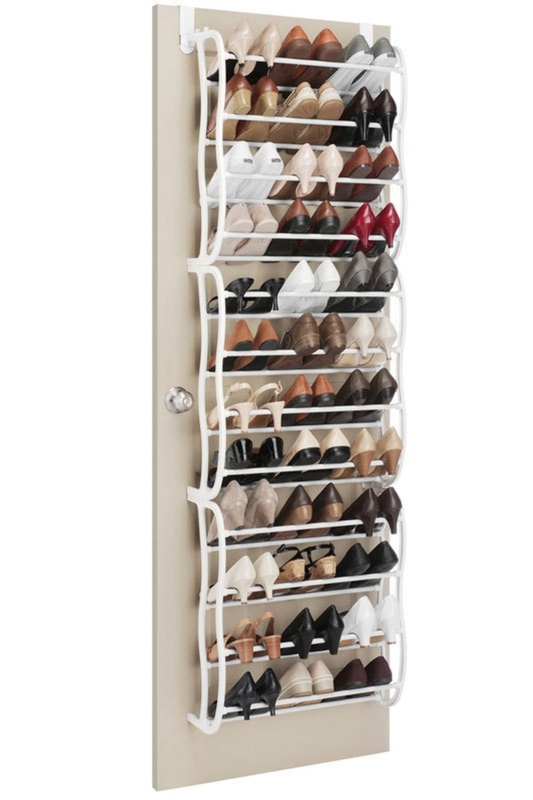 One way to maximize the corner is with the use of carousel for your shoes, coats, jeans, scarves and mostly anything. 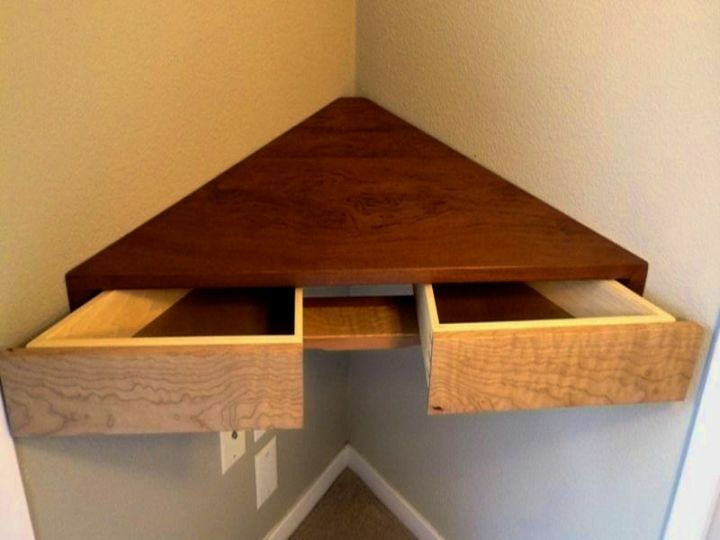 Another way to maximize the corner is to install a DIY shelf. Oftentimes, the door is left untouched, when in fact you can use its vertical space for hanging pieces. 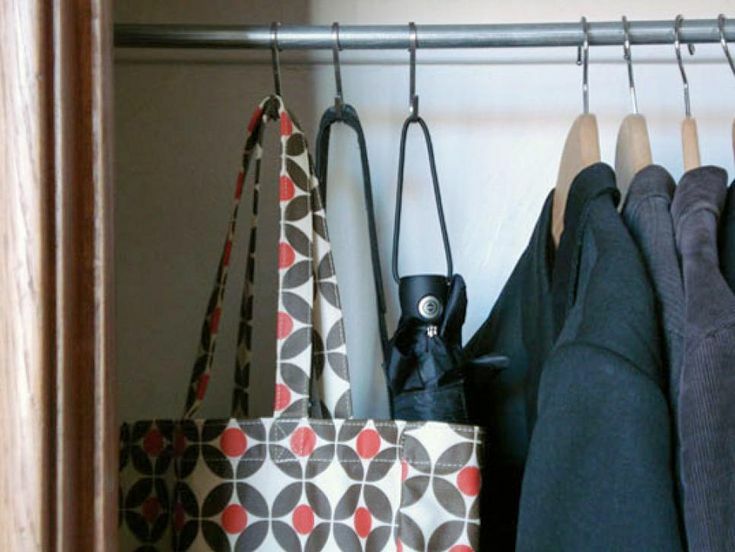 Your door makes a good space to keep your scarves, ties, handbags, and belts. You can also use the cabinet door where you can place L hooks for your accessories, tank tops, and whatnot if your walk-in closet door runs out of space. Also, the space above the door makes a good place to install a shelf for your winter boots, bedsheet linens, and other items. Do you find our blog helpful? Share us your thoughts by commenting below. Are you expecting a baby girl? Apart from the physical and mental preparations, one thing you should also spend time on preparing is your nursing room. In this article, Erica Lugbill shares professional advice and design tips that you surely don’t want to miss. Interior Designer Erica Lugbill kept the color theme and design simple and adaptable for the changing mood of your little one. Here, Erica created a beautiful balance of cozy and warm feel with a subtle & playful touch of popping colors. While you might want to do away with intense light in your a nursery, it’s still good to let in natural light in the morning. Soft morning sunlight is a natural source of vitamin D that’s essential for the growth of your baby. Controlled exposure to natural light also helps for the treatment of newborn jaundice. If you want to reap the benefits of natural light make sure to have blackout blinds or curtains to diffuse intense sun rays and to keep the room dark when need be. Erica allowed natural light to let into the room by the wide window, with blinders. Apart from its use for noise reduction and keeping the room warm, the rug here played a good contrast to the pink nursery room. Add fun to your nursing room by placing toys and playful decors here and there. Also, intimate and sentimental pieces like a memorable picture of baby, mom, and dad add a personal touch to the room. Headboard and footboard are solid and sturdy without cutouts. Placing an area rug also childproofs your nursery. Choose a rug with padding underneath to soften the floor and to add cushion if an accident ever happens. Another reason to love having an area rug is that it remarkably decreases the noise inside the room–and for a nursery, you sure do understand how important noise reduction is. Also, softly cushioned rugs keep the room warm compared to solid floors e.g tiles that could feel bitingly cold during winter. On top of these, choice rugs create a fun twist to a rather dull-looking room. Give yourself a cozy nook for you and your baby. As a mom, you’d be spending much of your time sitting on your nursing couch to breastfeed your newborn. As such, it is important to have a seat with sturdy and comfortable back support & armrest so you can comfortably rest your back and arms while breastfeeding or bonding with your baby. A footrest is also a good addition for an added comfort. Erica Lugbill chose a comfortable cushioned seat with a broad back support and soft armrest that’s best for when breastfeeding. The crib, on the other hand, is strategically located near the seat and against the wall to avoid the glimmer of the bulb and the light coming in from the window. The changing table has three drawer storage for the clothes, diapers, wipes etc of the baby. Also, you can see that the diaper pail is aptly placed just beside the changing table. As a mom, changing diapers would be your regular task for the first years of your baby. Opt for a changing table with storage space like the one shown in the image. Erica chose a changing table that includes compartment and drawers to keep wipes, diapers, baby blanket etc. And another great thing about this changing table is that it can be repurposed once your infant grows up. Of course, you want to pair your changing table with a diaper pail to toss dirty diapers on the fly. Choose one that can trap the odor inside and that’s easy to open. Your baby would change clothes numerous times in a day, so it really helps to have a clothes hamper in the nursery. A matching clothes hamper also makes a good storage space to organize your laundry and avoid the clutter. Erica got these cute set of clothes hamper with animal print. It looks playful without compromising the theme and design of the space. Here are cute clothe hampers with animal cartoons which can be reused and repurposed for when the baby grows up. A set of three is enough to do away with the clutter. Did you like this blog post? Share us your thoughts by commenting below.